The THG Youth Group Masterpieces meet every other Wednesday during term time from 4.30pm – 6.30pm. We welcome school groups to THG. The gallery is free to visit. The workshops usually take inspiration from the current exhibitions. Community Engagement - at THG we strive to make the gallery relevant, engaging and accessible to everyone, especially marginalised groups. 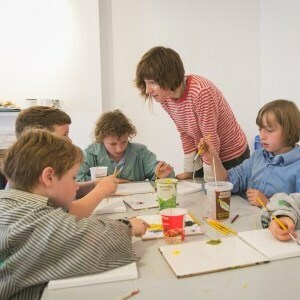 We welcome children & their families to get creative at THG.